Just below Yellowtail Dam, this is a river that looks like a spring creek. 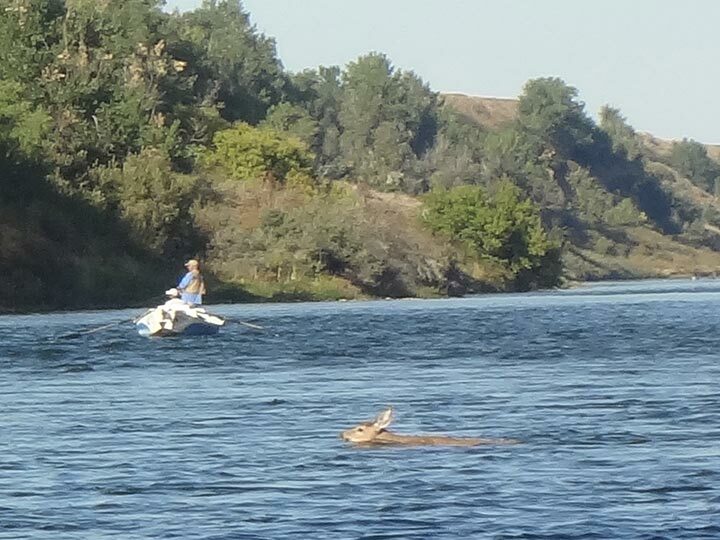 The Bighorn River’s first 14 miles are the best. There are boat launches at miles 3, 10 and 14, making access and trip planning very easy. The cooler water-temperature promotes thick mayfly and caddis hatches, correspondingly high nymph counts, and strong hard fighting healthy fish. 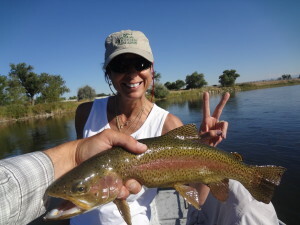 Because it is a tail water fishery, the upper Bighorn River fishes well all year. The absolutely clear water and high catch-rate makes this one of the best fly fishing rivers in the world! 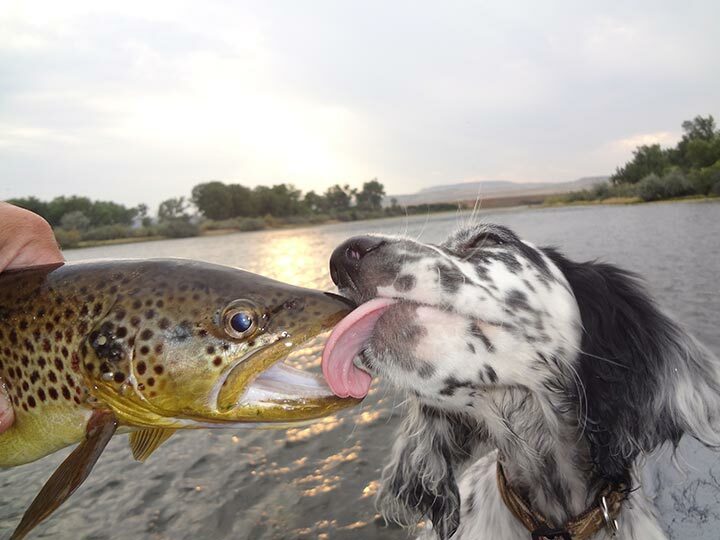 Great dry fly and nymph fishing makes it an excellent “head-hunting” river. We have a two-day minimum stay on this river. You’ll probably leave here with a sore fighting arm! These trips are based out of Billings, Hardin or Fort Smith, Montana.